Quick question on the new premium bulldog. 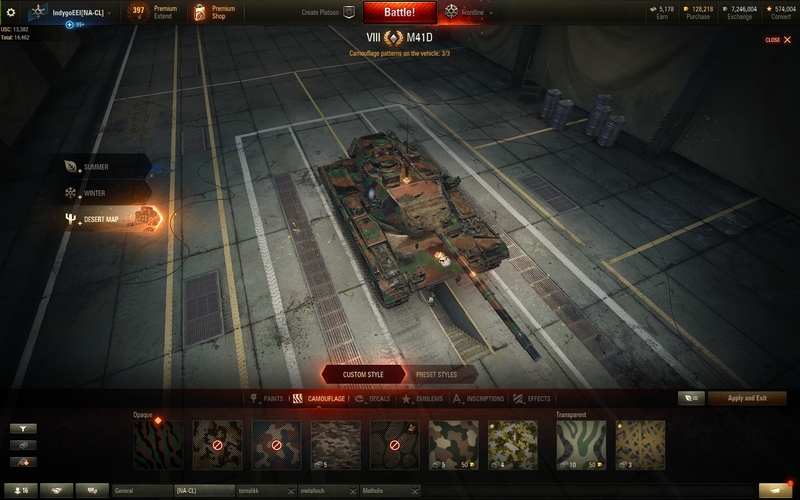 Could someone post a screenshot of the camo that comes with the tank? I know if you purchase the base $30.99 package it does not include the custom camo for the tank. The picture included on the site isn't great and I was wondering if someone could take a picture of it in their garage and post it here to help inform my purchasing decision. The first package where the camo becomes avaialable costs $49.99 so I wanted to make sure I got a good look at the camo before spending an additional $19. 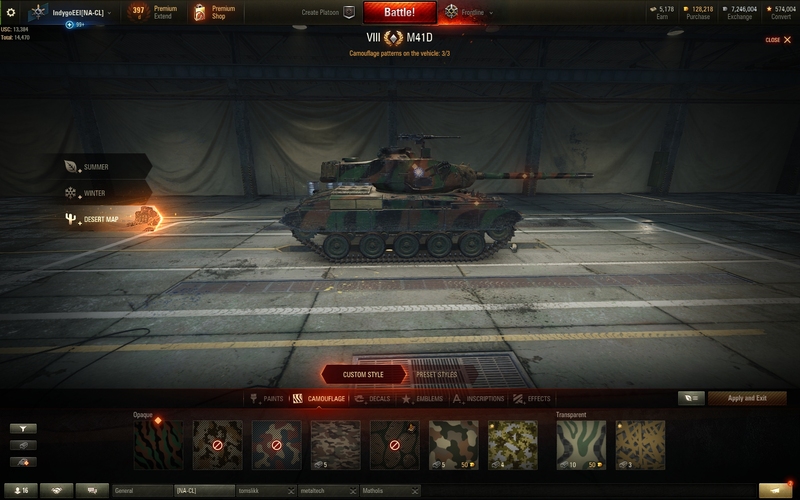 As an aside, I am not a big fan of wargaming put up these pay walls for premium tank camo's. I understand paying a bit more for the camo to be included in the package, but don't need / want to pay for all the extra gold and equipment the tank comes with. I would rather be able to buy the base tank with or without camo and nothing else. Personally I have some 160k gold or so and 3k gold coming with the tank does me no good at this point and is just wasting $15. Just buy the base tank and save your coin. If you have to ask the question then you shouldn't spend the money. By the way, I bought the tank and like it. The shell velocity is pretty nice. I put the digital camo from the recent CW on the tank. Edited by Plays_With_Matches, Feb 13 2019 - 20:24. Do you mind actually putting up a screenshot of the tank without digital camo just so I can also get an idea of what the base tank looks like? Thanks man. Edited by IndygoEEI, Feb 13 2019 - 21:49. I bought the base tank since the exclusive camo looked so much like the Chinese "Large Spots" camo that I actually like the look of better. Edited by IndygoEEI, Feb 13 2019 - 21:53. Awesome thanks guys, much appreciated!! !